Parenting is a tough job. Juggling every responsibility you have in addition to keeping a close eye on your children to make sure they are safe can be a very daunting task. I remember being a new mom and checking on my sleeping baby constantly to make sure they were sleeping right, breathing right, didn’t have the covers over their face, etc. Now that my children are older, I don’t have to monitor them quite as closely, but I still like the security of knowing they are okay. 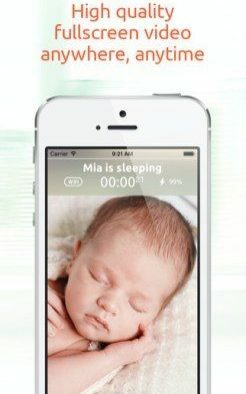 Annie Baby Monitor is a genius new app that helps parents monitor their children through their Apple devices. There is no need for a baby monitor or constant vigilant check-ins! Annie Baby Monitor is easy to use and takes only minutes to set up. First, you must download the app on at least two of your devices. Once that is complete, open the app on one of the devices and set up profiles for your children; you can add up to four. Then, open the app on your other device(s) and press the button to join the devices. Within seconds, that process is complete and you can select which device you will monitor from and which device you will leave with your child. Now, simply set the device that will stay with your child up in their bedroom where you can see them and take your other device with you. There are several tools that are included in this app as well. First, the app uses the microphone on your device so that you can hear when your child begins to stir or cry or make any noise. Additionally, if you child is having a difficult time falling asleep or needs to hear your voice to comfort them, you can speak into your device and your child will hear your voice through their device. There is also a night light feature that can illuminate the device that is with your child if the room is too dark. 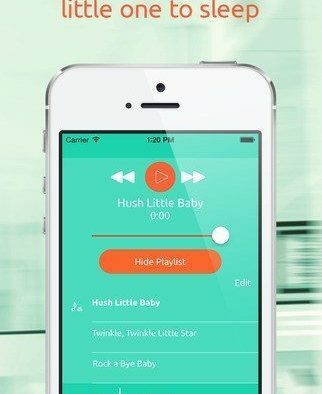 You can also play lullabies or soothing music through this app. The app is a free initial download that comes with 30 minutes of free air time to try it out. After that expires, you must purchase a family license for $3.99. I only tried the app for the free 30 minutes, but I was very impressed with how well it worked during that time. Since I don’t have any infants or young children in my home anymore, I found this app very useful to monitor my older children as well. I do a lot of at-home office work and my office is in my basement. When I am working and my children are awake upstairs, I often wonder what they are doing and have to interrupt my work to check on them or resolve the disagreements that arise. To test this app for my review, I set up my iPad upstairs in the family room with them and took my iPhone down to my office with me. I could glance down at my phone anytime I wanted and see what was going on upstairs. If they needed something, they could ask me the question through the monitor and I could respond through the microphone feature. Also, I think since they knew they were being watched by mom, they behaved so much better than they would have otherwise. IT WAS SO FABULOUS! I will definitely by buying my family license today and using this app regularly. Parents with children of any age, daycare providers, even teachers who need to monitor their class while they run to make copies or run to the office can benefit from this app. It is a convenient, easy and inexpensive way to monitor your children and give parents peace of mind.